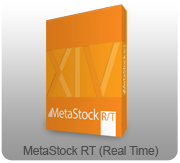 MetaStock software is typically offered by electronic download only. In some instances you might prefer physical shipment. If that is the case you can contact us for information. Following are the various shipping options we have available for physical delivery of MetaStock products. To setup other shipping options please contact us directly. Please Note: Customers are responsible for applicable inbound duties, taxes and brokerage fees for their country.